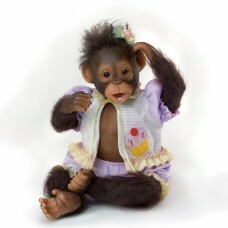 There's nothing sweeter than a cuddly baby monkey eagerly waiting for your hugs and kisses! Now, you..
One baby is lovely, but two? They're a dream come true! Welcome home twice the love with this exquis..
From her smile that's just as sweet as can be and plump, kissable rosy cheeks, down to her tiny wrin.. 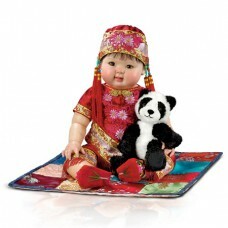 This So Truly Real® doll by Linda Murray comes with her own cuddly soft teddy bear. Measures 22.. Award-winning Master Doll Artist Linda Murray created “Bunny Hugs” to indulge her own love of .. It's a nighttime routine both you and your precious baby girl love so much. As you cuddle together i.. 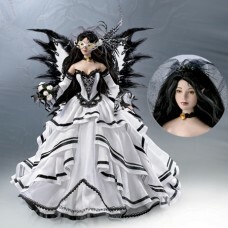 Exclusively from The Ashton-Drake Galleries, “Delilah Red Velvet” is a ball-jointed and articulated ..
No Box.. Presenting the Nene Thomas Enchanted Fantasy Bride Doll collection—a romantic fantasy artwo.. In celebration of this amazing American legend on the anniversary of his 75th birthday, Ashton-Drake.. There are few sounds more heartwarming than a belly laugh from a baby. And you'll be rewarded with p..
Little Madeleine is so tres chic and quite the charmer too. After all, she expresses her feelings in.. The Ashton-Drake Galleries is honoured to introduce Mei Mei, Beauty of the Orient, our ve.. When your little one begins to recognize your tender touch for the first time, the feelings you shar..
Few things are as precious as the first time your baby responds to you by wrapping her ti.. Available now. Pretty As A Princess is just that. 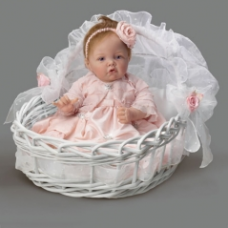 By renown doll artist Elly Knoops, this little swe..
You could spend hours watching Sophia sleep, “breathing” so peacefully and “cooing” softly, dr.. 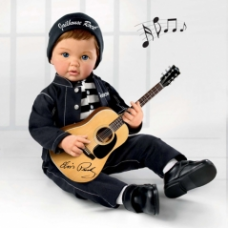 Introducing “Sumatran Sensation” the third doll in the Eye of the Tiger collection! She’s the latest..
othing is more precious than the moments shared with a darling baby. Now, embrace these tender momen..